Aroostook residents are enduring a particularly rough winter, and for sportsmen it has been even more challenging. Aroostook residents are enduring a particularly rough winter, and for sportsmen it has been even more challenging. Snow arrived and disappeared in October, then showed up again the first week of November and stayed with three storms before Thanksgiving. Ducks and geese were gone south quickly, costing waterfowl hunters at least three weeks of normal hunting. While record-breaking snowfall attracts and pleases snowmobilers from far and wide, ice fishermen and especially hunters are having a tough go of it. High roadside banks and deep, drifted snow in fields and on lakes make access difficult on unplowed roads and non-maintained trails. Ice anglers spend a lot of extra time shoveling and slogging through snow and slush to set and maintain traps. Many rabbit hunters throughout The County have simply thrown in the towel until warmer weather reduces snow cover allowing hounds and hunters more tolerable conditions. The one group of outdoorsmen who seem to persevere are a unique but growing cadre of hunters who seek out wily, sharp-eyed predators. Everywhere I go — the post office, grocery store, school events, sporting goods stores, restaurants and even the dentist’s office — guys are talking about fox and coyote hunting. During the last few weeks I’ve had at least three occasions to visit the Star City’s prime outdoor store, Ben’s Trading Post on Main Street. I seem to be odd man out while purchasing hooks, sinkers, or an ice scoop, since many other customers are buying bullets, high power light gathering scopes, winter camo clothing and varmint calls. 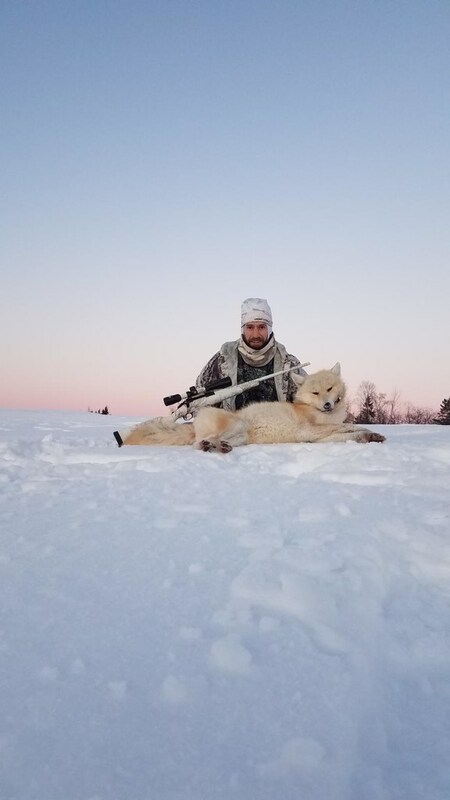 Between trading and selling long range, flat shooting rifles to use on crafty coyote and wary fox, Ben LeBlanc answers questions, trades stories and offers advice on a winter sport he has enjoyed and explored for years. Despite the weather, it seems to be a bumper year for fox and coyote, and the snow makes it easier to hunt them.. High snow depths make it tougher for predators to hunt successfully, so they turn to easier food sources and respond to injured prey calls and bait sites more readily than normal. Neophytes to predator hunting would be wise to target red fox as their prime quarry since they are somewhat less wily and cautious than coyotes. Learn from the fox gunning forays and transfer this knowledge to calling coyotes at a later date. Another reason to start with fox is that shot opportunities tend to be close, so specialty rifle and shells often aren’t a necessary investment. Most regional sportsmen have deer rifles that will do double duty as predator guns, and in fact, often fox can be called close enough for shotguns, hand guns and even bows. Shooters looking for extended range targets, 200 to 600 yards, will require specialty long guns, optics and cartridges. There are three basic methods of gunning for coyotes, some simpler than others and some far more productive than others. The easiest and most comfortable style of varmint hunting is to drive and spot. Although spotting a coyote while cruising woods roads is possible, the dogs are usually at close range and flee for cover immediately allowing little chance for a shot. Driving through farm country and scanning roadside fields is a better way to sight coyotes. Using a good set of binoculars to search distant woods lines will further improve the odds. Then it’s just a matter of getting a shot before spooking the animal. Long range, flat shooting rifles with crisp, high power optics are essential to anchoring a coy dog across a large open field. Setting up a bait site to attract meat hungry coyotes is another option for getting a clear shot at these shrewd predators. The colder the weather and the deeper the snow, the more likely one or more coyotes will take advantage of easy food. Some hunters use beaver and muskrat carcasses left from trapping season. Butcher shop remnants work as well, but if a moose or deer carcass from an accident can be obtained, it’s the best bait. Baits must be anchored in the frozen ground so the coyote can’t drag it to nearby cover and feed out of sight. Bait locations should be a good distance from roads, snowmobile trails and of course dwellings, excessive noise or activity nearby will reduce a bait’s effectiveness. A safe shooting backdrop behind the bait and some cover for the shooter are also requisites — tree lines, hedges, rock piles and even pop-up blinds are options. Shots of 200 to 500 yards are the norm for hunting over bait. 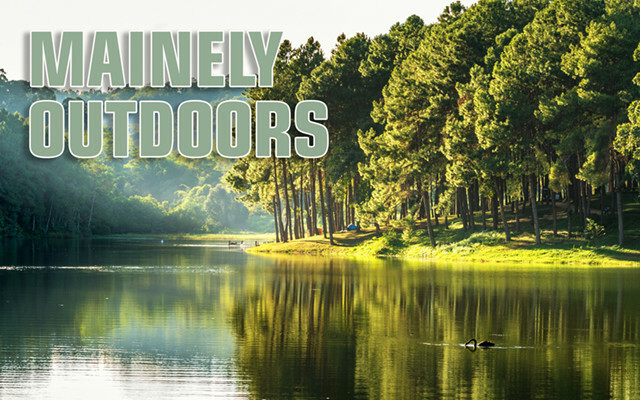 Sportsmen with a rural house situated among farm fields and away from neighbors, or those who own a large piece of property can set up a bait site that can be watched from home. The beauty of this opportunity is that on moonlit nights, the bait can be checked from indoors every half hour and if and when a coyote shows, up it only takes a minute to step outside and ready for a shot. It’s amazing how many varmints are bagged this way during a long winter. Some riflemen have downed multiple dogs in one evening. The third method of predator hunting gets the gunner up close and personal to the game and eliminates the need for long, long shots. Best of all, the outdoorsmen gets to play a much more active role in the hunt. Rather than riding around or sitting and watching a bait, using a predator call allows the sport to bring the animals to him. Another plus to calling coyote is the opportunity to move from spot to spot if no game appears. Hunters select a likely location, set themselves in some cover such as a tree line, hedgerow or against a rock pile and begin calling. White coveralls help shooters to blend into the snowy background. Handheld calls work, but mechanical battery-operated calls with speakers are louder and leave hands free to shoot. Injured rabbit, fawn, or bird calls, or even mouse calls are popular and there are also realistic decoys to set out. Inexpensive, battery-operated models wave a piece of fur at random intervals to imitate an injured small game animal, and predators are really drawn in, and are less aware of nearby shooters. If one spot doesn’t produce any action in 60 minutes, it’s time to pick up, snowshoe back to the vehicle and try another spot. Sportsmen traveling by snowmobile need to leave sleds a good distance from calling locations and walk the last few hundred yards. Some coyotes will come sneaking around to check out the possibility of an easy meal while others will come running at the decoys. Sharp eyes, quick reflexes and true aim are keys to success. If you doubt the effectiveness of pretending to be varmint food, consider that old brer coyote can hear a mouse squeak at 150 feet. A realistic call will bring a coy dog running from half a mile or more on a clear day. Once an ambush spot is located, settle in and call for a full minute, then wait five minutes and repeat. If nothing shows up, try one more set of calls 10 minutes later and wait a full 30 minutes after the very first call before seeking a new area at least a mile away. Full camo is a must to break up the human form and white waterfowling clothing will work, though a ghillie suit is better. When snow gets heavier, a white camo set of coveralls and white face mask will work best. Hedgerows, fence lines, rock piles and the brushy edge of wood lots along open farm fields offer the best background to break up a shooter’s form. Finding a spot to hunt is no problem in Aroostook County. In fact it would be more difficult to find a spot without coyote. Most sports will find productive calling fields within 15 minutes of their home. 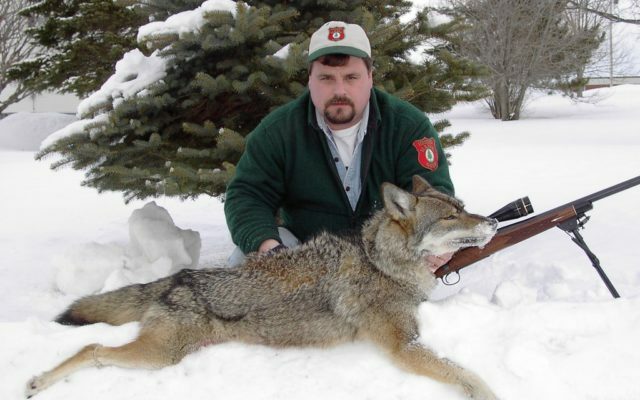 Fox hunting ended the last day of February, but coyotes are legal targets year around with no limit, and night hunting remains legal until the end of August, so there is plenty of time to give winter predator gunning a try. Cold weather shooting is a nice break from ice fishing, snowmobiling, and fly tying too, and keeps marksmanship and calling skills sharp. Talk to a friend who predator hunts and join him for an introductory outing or visit the local sporting goods store or gun shop to ask questions. 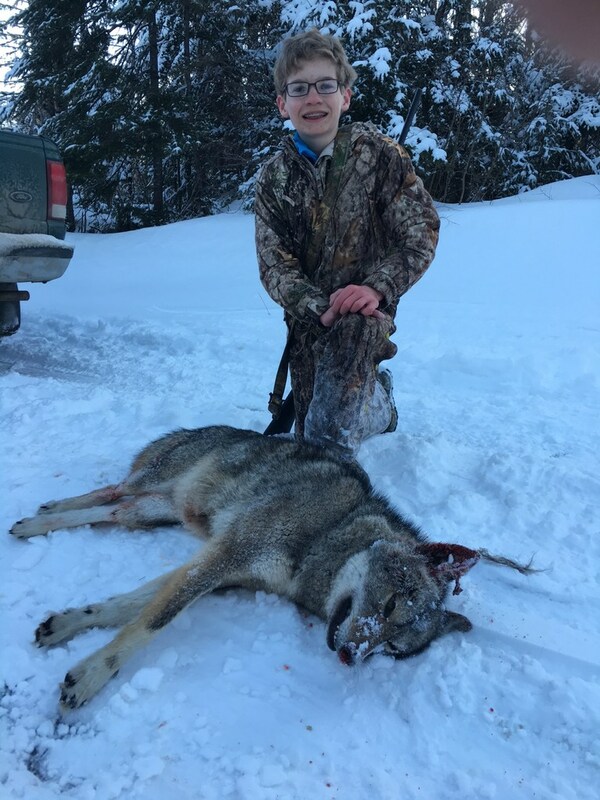 It’s a fast growing sport in northern Maine and a good way to pass a few late winter days and collect some fur. When a two-legged predator outsmarts a four-legged predator, it’s personally rewarding and helps our deer population too.